Brandy snaps a photo with Bishop T.D. Jakes. Music legend Aretha Franklin and Bishop T.D. 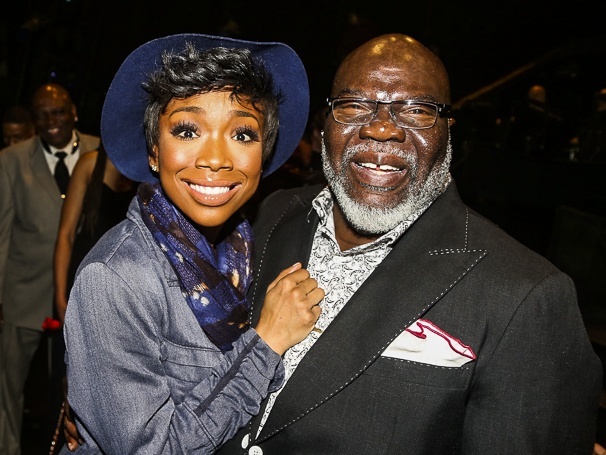 Jakes visited Brandy Norwood in Broadway’s Chicago on May 29, 2015! Click for photos from their visit to the Ambassador Theatre.